HOLLOW CRIB, a mystery/suspense, is now available! I’ve waited ten long years to be able to make this announcement, so I’m not going to waste time . 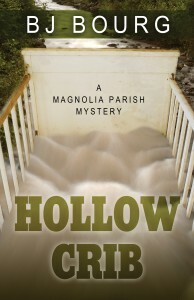 . . the first novel I ever wrote, which is a mystery titled HOLLOW CRIB, is now available through Five Star Publishing! For those of you still drawn to the new-book-smell and who just have to feel the pages of a print book flipping through your fingers, HOLLOW CRIB is available in hardcover format (click here to purchase hardcover). For those of you who prefer your books trapped in an e-reader, where you can store millions of books in one nice little package, HOLLOW CRIB is also available as a Kindle download (click here to purchase e-book). Before I share the blurb, I need to give my wife, Amanda, a ton of credit for helping me realize my dream of being a traditionally published author. After submitting HOLLOW CRIB to nearly a hundred agents and having been turned down by everyone who cared to reply, I’d shelved it and worked on other books. Amanda read it one day and loved it. She encouraged me to dig it out of the deep recesses of my computer, dust it off, and submit it directly to a publisher. As I often do when she comes up with a bright idea, I listened to her. The rest, as they say is history. I also have to extend my sincerest appreciation to Deni Dietz for evaluating my book and recommending it to Five Star, Gordon Aalborg for editing it to perfection, and Tiffany Schofield for always being there when I needed something and for helping bring this project to fruition. 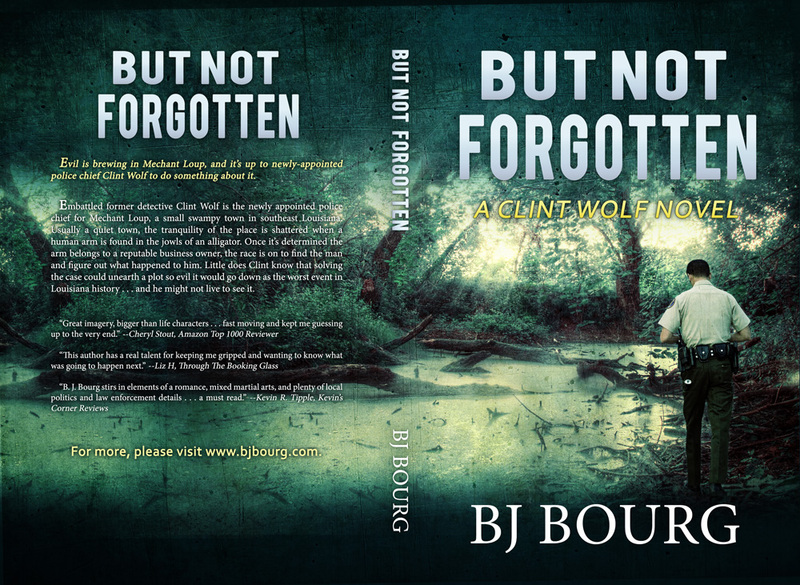 It’s November in southeast Louisiana and the only thing Detective Brandon Berger wants is to keep his anniversary promise to his wife. As luck would have it, a mysterious death derails his plans. He begins to investigate the case along with his partner, Dawn Luke, and the trail leads them to the Magnolia Faith Church and its controlling pastor, Father Isaac Stewart. Suspecting the pastor has knowledge about the suspicious death, but unable to prove anything because of the tight-lipped parishioners, the case turns cold. Further north, William Chandler takes his wife, Claire, and their infant daughter, Gracie, on a camping trip to the Skybald National Forest. The last time he was there? Twenty-two years earlier when he watched his father die in a violent accident. He’s returning to quietly sort through some personal demons, but when they arrive and find a peculiar stranger talking to his Pit Bull about blowing things up, he questions the logic behind returning to the scene of his youthful tragedy. After a series of strange events, William finds himself arrested for murder. He swears he’s innocent, but the evidence against him is so damning, even Claire thinks he’s guilty. The Magnolia Faith Church might be the key to helping William prove his innocence, but making the 251-mile connection could be deadly. I want to publicly thank everyone who has already purchased copies of my previously published books and those who will purchase this book. I’d love to be able to thank each of you personally, so feel free to contact me at bjbourg[@]bjbourg[. ]com and let me know what you think (good, bad, or terrible) about this book or any of my other books. In honor of Mother’s Day, my mystery/suspense novel THE SEVENTH TAKING will be free in e-book format all week beginning Monday, May 2 and ending Friday, May 6, 2016. 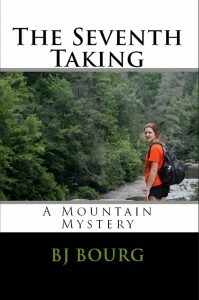 It’s the story of Joy Vincent, a young girl from Louisiana who disappears in the Blue Summit Mountains while hiking with her family, and Abraham Wilson, the boyfriend who never gave up on her. Harassed by black bears and a mysterious being, Abraham and two of his friends brave the elements and the harsh back country as they search for Joy. What they do find in the mountains could blow the lid off a horrifying secret that has lain dormant in the mountains for years–that is, if they can make it out alive.